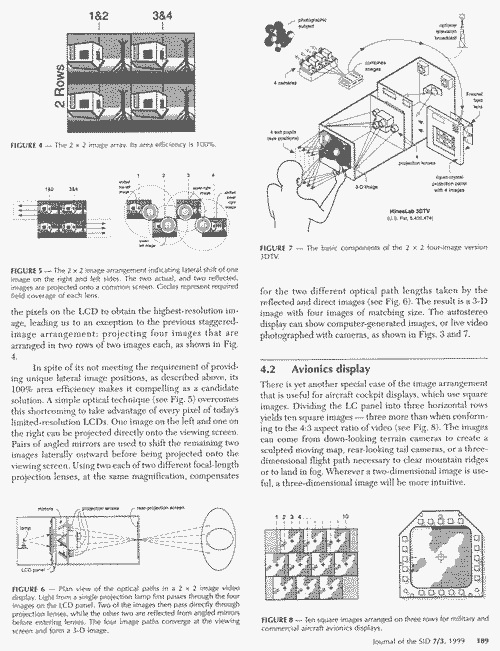 Figure 9 (below), Combinations of LC displays and image layout, indicating trade offs between image resolution, and audience space. 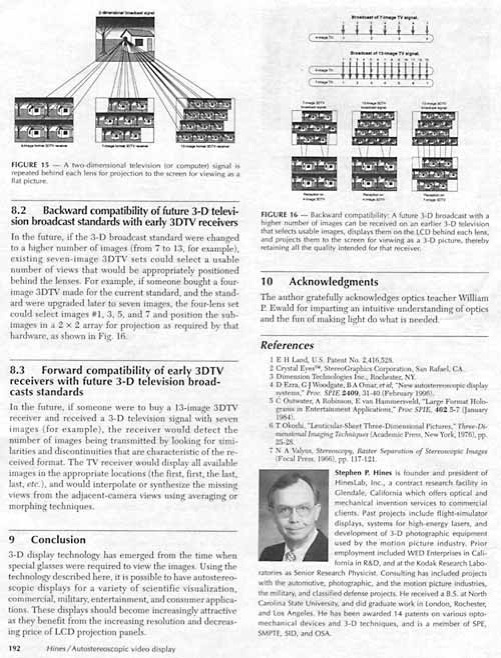 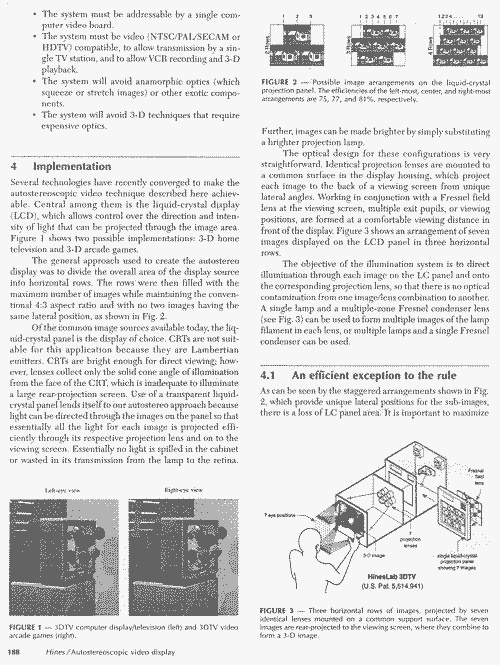 "This paper is an excellent contribution to the Journal of the SID in that it clearly describes novel optical display technologies that help solve some vexing issues in stereoscopic 3D display systems: (1) how to provide different images to the L and R eyes without requiring the observer to wear special equipment or to keep the head in still in one spot, and (2) how to provide normal motion parallax cues (limited to horizontal motion in this case) and look-around when the observer moves laterally. 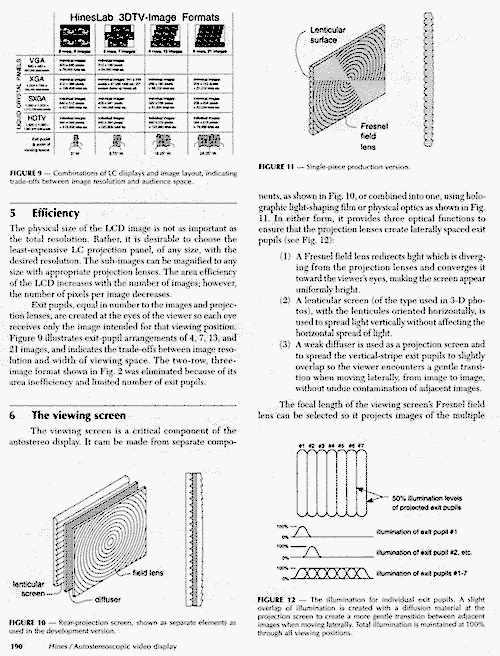 The figures and explanations are exemplary– if only more papers had this level of graphic excellence! 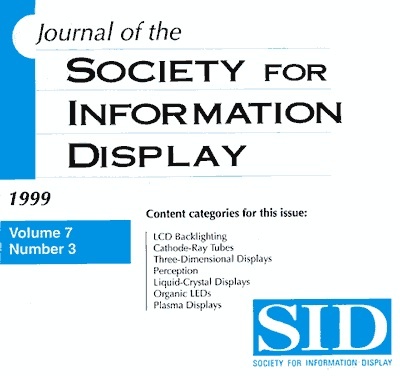 Again, let me congratulate the author on an excellent contribution to the literature on stereoscopic display design and technology." 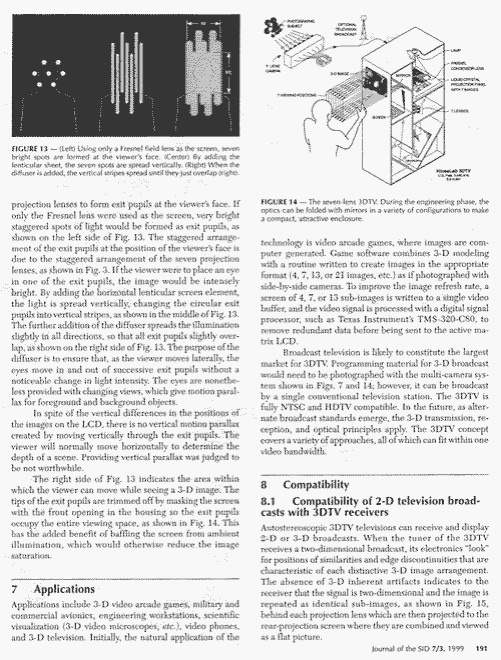 ….This is a technology announcement and license offer, not a product being offered for sale to end users. 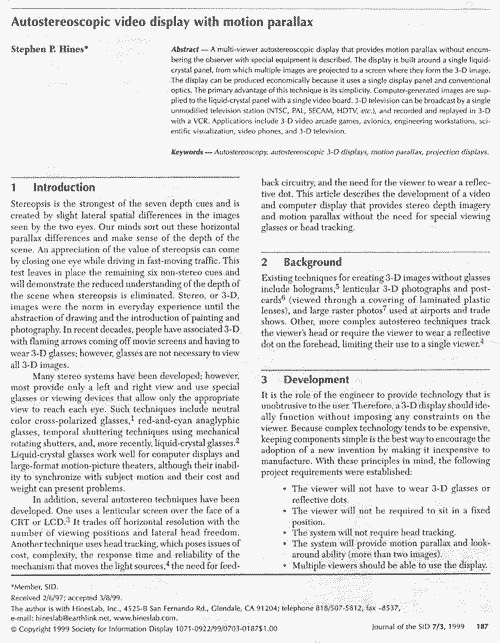 Photographic equipment manufacturers are invited to contact Steve Hines to arrange a demonstration or to discuss a manufacturing and sales license.